As time marches on, there are large chunks of our history which can be shown to be fallaciously reported, through to downright lies. The younger generation are often fed misrepresentations of the true history, so when I saw a book about Adolf Hitler on the Bookazine shelves, I chose it for review. I was born during the dark years of WW II, so I knew the name Adolf Hitler, but there are three generations since those days, and many have not heard of him, or are being fed propaganda distorting the truth. 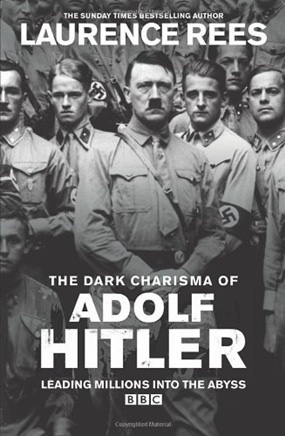 The full title is “The Dark Charisma of Adolf Hitler Leading Millions into the Abyss” (ISBN 978-0-09191-765-4, Ebury Press, 2013) and was written by Laurence Rees, an award-winning historian and documentary maker. 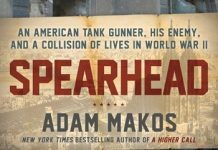 The book is divided into four parts – the Road to power, Journey to war, Risk and reward and Blood and death. Hitler’s success as an orator came from the simple technique of starting by showing how bad everything was at that time, and then lead into how he, Hitler, could change all that, if he had the support of the oppressed people. He demanded ‘faith’ in himself, as a quasi-religious leader. Small details were not needed. Blind following was required. Hitler’s underhanded methods to initially become the Chancellor of Germany and then consolidate his power and position are shown in graphic detail. He planned the murders of those who stood in his way, but the German public was ready to accept these extra-judicial killings in return for stability in the country. The next step was to capitalize on Hitler’s “charisma”, with Joseph Goebbels the Nazi propaganda minister claiming that the conscious manufacture of Hitler’s image as one of his greatest achievements. This image became such that Hitler was given an almost ‘divine’ status. The events leading up to the invasion of Poland, and the atrocities carried out by the SS on Polish Jews, are gone into in great detail, and in addition, the resistance by some of the army generals to Hitler’s more grandiose plans. It is shown that Hitler was a risk taker, and when luck was with him initially, this gave his charisma an even greater boost, but luck does not last forever. As the war continued, Hitler then showed indecision, nullifying the risk taking, confusing his generals, but when the defeat was imminent, those around him noted that he was a man with a mental illness. At B. 545, this is a weighty book. Rees includes End Notes and an Index at the end of the book, and shows where his information came from, including from the Nuremberg war trials. It was a very black period for the western world, and one that should never be repeated. Of interest, I was informed that in Belgium to deny the Holocaust is against the law.